ROYALTY FREE. 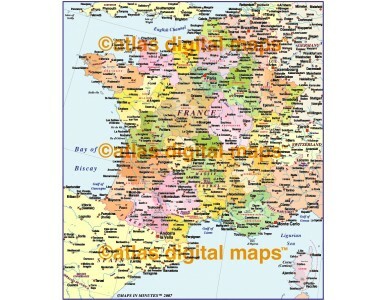 France Political Regions/Départments map showing first and second level political divisions. Fully layered and 100% editable in Illustrator 5.0 format, (Illustrator CS and FreeHand MX formats coming soon). ROYALTY FREE. 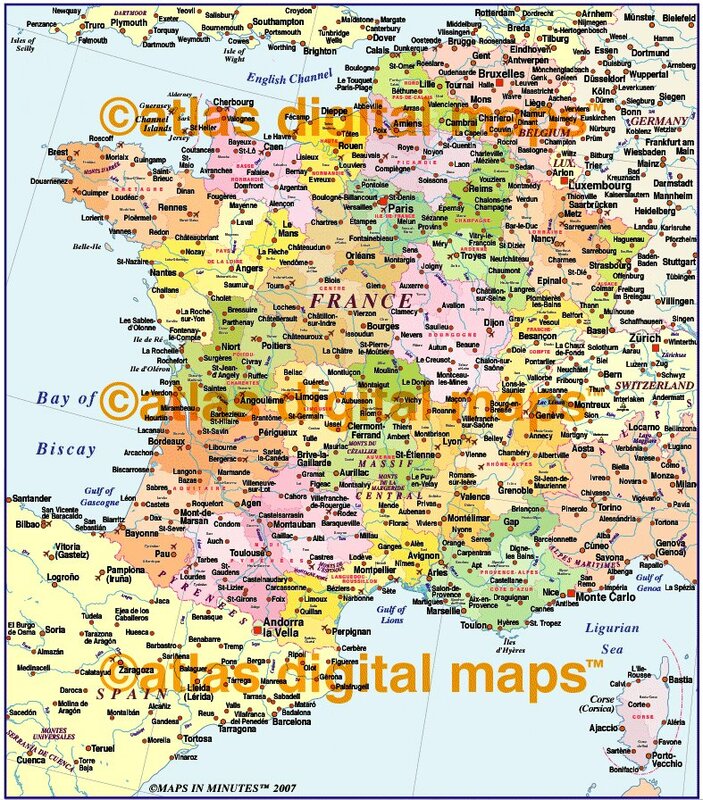 France Political Regions/Départments map showing first and second level political divisions. Fully layered and 100% editable in Illustrator 5.0 format, (Illustrator CS and FreeHand MX formats coming soon). 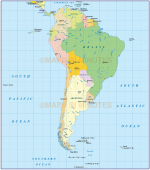 Vector layers include Island names, Physical feature names, Lake and river names, major settlements, airports, coastlines, political borders, vector land fills, latitude & longitude. Conical projection.